Be a part of the the Leading SAFe 4.5 training in Mdina with KnowledgeHut for best results. It is a silver training partner of Scaled Agile (SAI) Inc. The Leading SAFe 4.5 workshop in Mdina is a 2 day class from 9AM-5PM and the mode of course delivery depends on applicant's choice. The training will be provided by Authorized Scaled Agile Trainer at our academy. Finally, Leading SAFe 4.5 agilist certification in Mdina will be issued to the candidates only who pass the online SAFe agilist exam. A candidate should score a minimum of 34 marks out of 45 i.e 76% to pass the exam. Register today at KnowledgeHut and get the free reference materials of Leading SAFe 4.5 course. 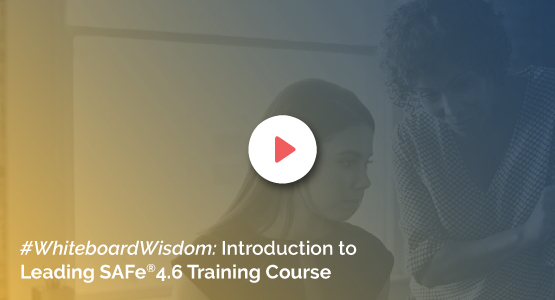 Leading SAFe 4.5 online course in Mdina is specifically intended for executives, development or QA or program managers, change agents (coaches), or participants in a SAFe rollout.